Just a short note to thank you and your colleagues for the expedient way our problem with the IRS was handled. As you are aware, we waited months for the IRS to take action in processing our claim and I am firmly of the opinion that without your intervention, we would still be waiting for a response from them. Within ten days of contacting you, our claim was resolved to our satisfaction and the IRS actually paid us interest on the delayed payment. Hopefully for us this is a one off situation, however, should it be necessary to deal with the IRS in the future, I will most certainly contact you for advice. Best regards and thanks again. Our taxpayers filed their federal Form 1040 tax return for 2016 listing a substantial refund in excess of $20,000.00. Although the IRS accepted the tax return, the taxpayers never received their refund. After contacting us, we called the IRS and learned that a code was placed on their account which stopped the IRS from issuing their refund because the IRS had a question about an item on their tax return. Although the IRS had a question about their tax return, the IRS took no further action and did not send a letter to the taxpayers. The taxpayers attempted to resolve this issue on their own without success. We called the IRS and were able to answer their questions about the tax return. The IRS then reversed the code and issued a refund of more than $20,000.00 to our clients. 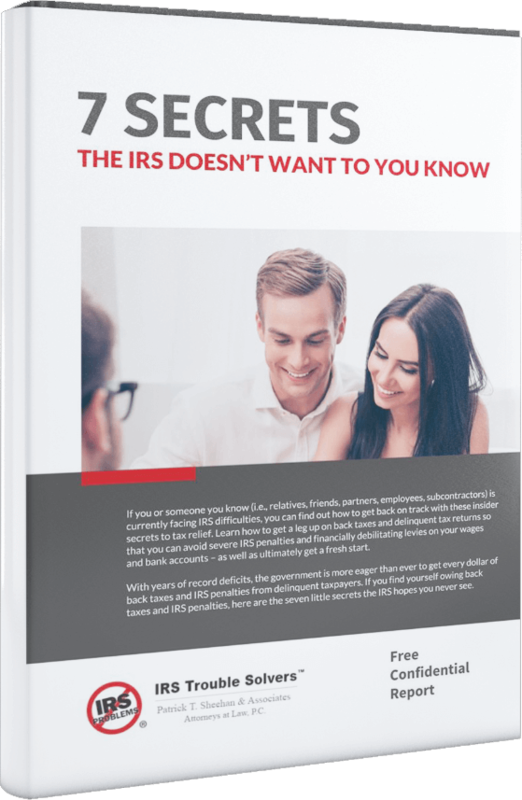 Do you have a problem with the IRS? Call us, we can help.